The holiday season has arrived and many Iowans will be traveling. Whether you’re headed over the river and through the woods or just a couple of miles away, we are here to help get you prepared! LOF-Xpress™ approved travel tips and savings to get you to your destination safely! 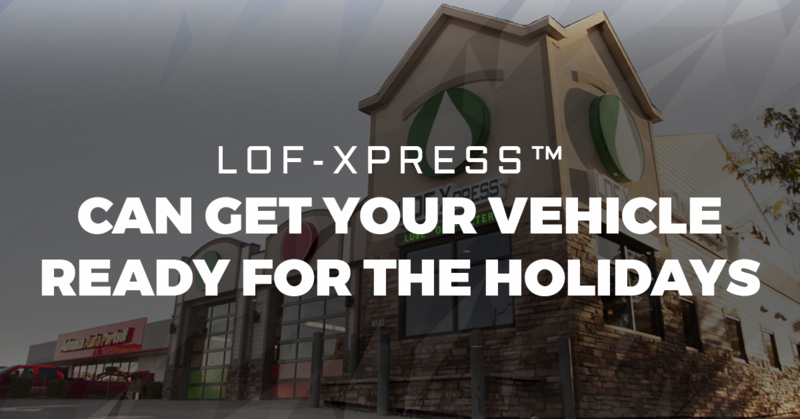 Bring your vehicle into one of our two LOF-Xpress™ locations. From oil changes, fluid levels, wipers, and antifreeze to belts, hoses, lights, battery and tire pressure checks, we’ve got you covered. 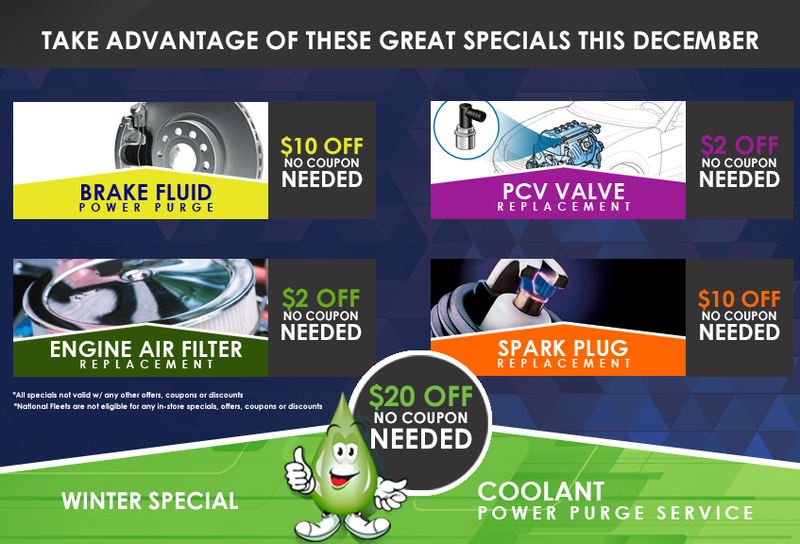 During the month of December enjoy some savings by taking advantage of our monthly specials to ensure your vehicle is in tip-top traveling condition. Our LOF-Xpress™ PLUS Full Service Oil Change is always great way to identify fluid leaks, low fluids, faulty connections and any other problems before they become a holiday inconvenience. Once you know how you’re getting there, we recommend checking traffic reports and weather conditions prior to leaving. Pro travel tip: Always bring a paper map as a backup, in the event of poor cellular service or a dead battery! Refresh those winter driving skills. Whether you’re a new driver or an experienced one, poor weather conditions can test your nerves and skills on the road. It’s especially important to reduce your speed, increase distances between other vehicles, and always be prepared to stop. It can save your life and is the law. We recommend keeping a blanket, flashlight, extra gloves, hats, a first-aid kit, phone charger, snacks, and a water bottle in your vehicle in case of potential breakdowns. We like to think this one is a no-brainer, but it’s definitely worthy of a reminder. Never risk the safety of family, friends, or others on the road by drinking and driving. Be attentive to what is going on around you. Actions by other vehicles may alert you to problems more quickly or give you time to react safely. Starting, stopping, accelerating, turning, and merging all take a bit longer in winter weather and/or during holiday high traffic times. Give yourself extra driving time and never speed to make up for lost time. A little extra patience on the roadways can go a long way in ensuring you arrive safely to celebrate with friends and family.